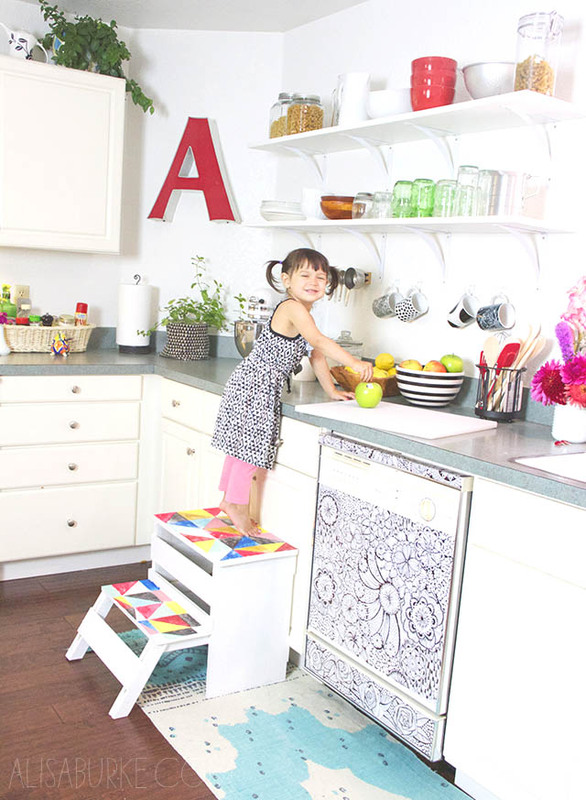 We have a long list of changes that we want to complete in our house and the biggest project has been our kitchen. 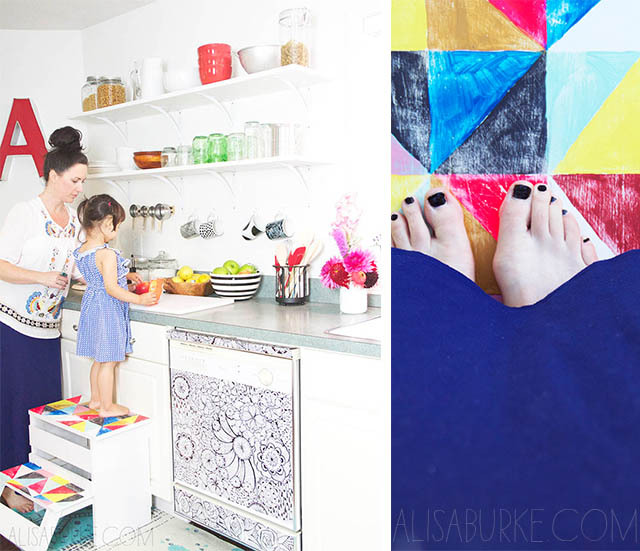 While we are happy with the layout and are blessed with lots of space, the kitchen needs a little updating but more than anything we want to incorporate our style (colorful, cottage, quirky with a twist of boho) into the kitchen. However, we are on a massive budget! Instead of sharing a BIG final reveal of our kitchen, I want to take you along with us as we knock out different projects. The first was to create opening shelving along one of our walls. Our kitchen is the darkest (and most outdated) room in the house and we wanted to lighten things up a little. 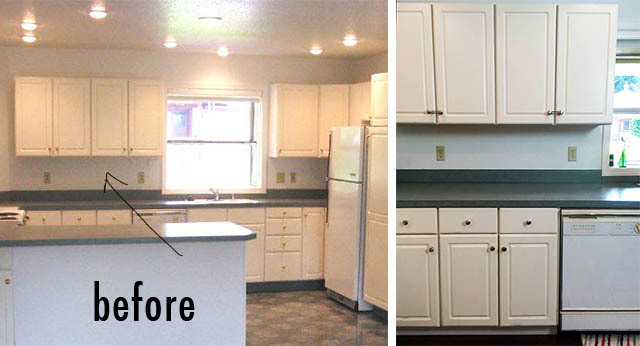 We actually don't mind the white cabinets at all- they are simple and in great condition but there are A LOT of them! So the first change we made was removing two of the cabinets and replacing them with open shelving. Open shelving is not for everyone but we both love the look and thought that some simple white shelves would lighten up the main wall and enable us to get a little more creative with pops of color. Andy and I love DIY and decided to tackle this project over a weekend! The first step was to take down our cabinets (we have plans to upcycle them in another room in the house). The most time consuming part of this step was emptying the cabinets, everything else was fast and simple. 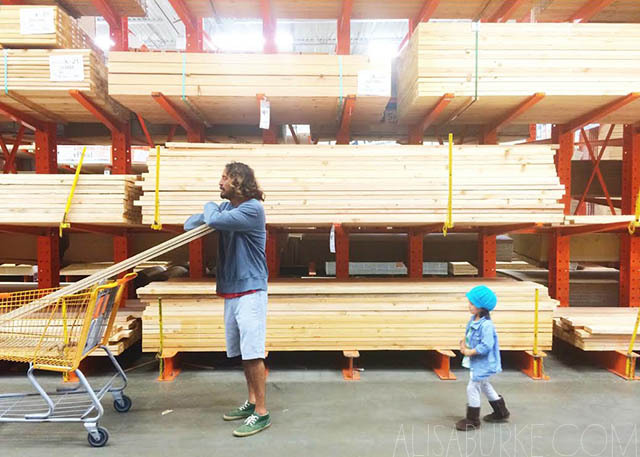 Next, we went shopping for our supplies- thank you Home Depot! We wanted to keep our shelves simple, large and as functional as possible (no embellishments or trendy brackets). We bought some simple white brackets and wood that we cut down to measure 12" x 60". I patched and touched up the paint on the wall (in my pajamas). I also painted the shelves white and then Andy got to work hanging them. The last step was to put everything back which was the hardest part of this entire project because all the cabinets and drawers in our kitchen were in major need of organization. 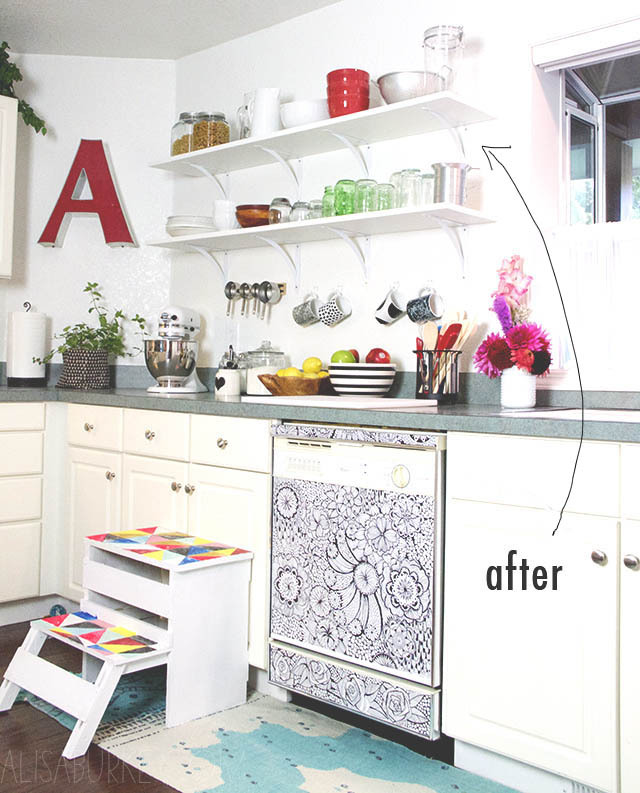 What started as a simple shelving project turned into me reorganizing our entire kitchen- it needed to be done! We are BEYOND happy with this little update and for under $100 we were able to completely change the entire look of the kitchen over a weekend. 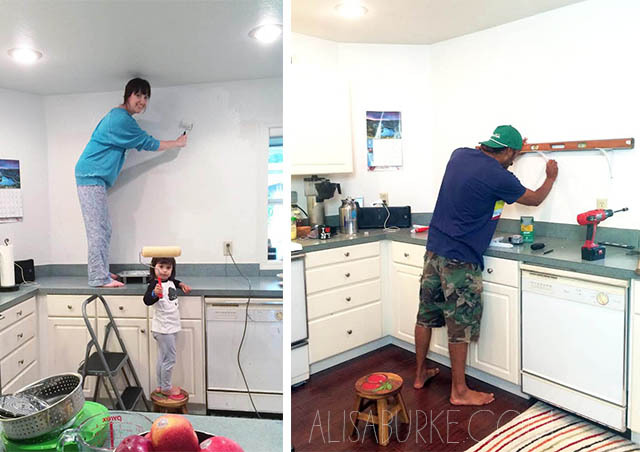 The next project to tackle is replacing counter tops on a budget! We REALLY DISLIKE the green laminate counters and are ready to get them out of here. I can't wait to share the creative solution that we are working on! 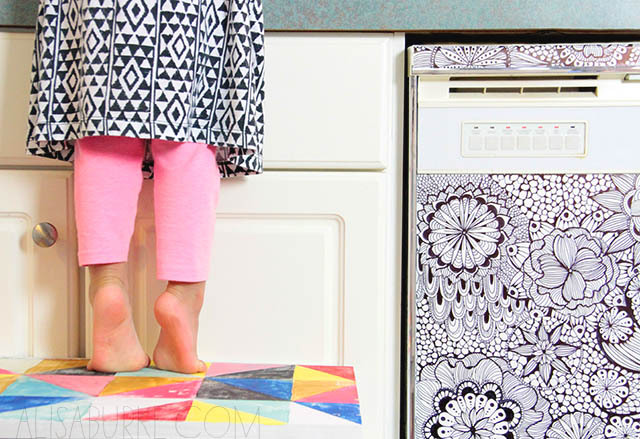 Tune in tomorrow when I share why and how I transformed our dishwasher into a piece of art! Love the open shelves. I have some in my kitchen and I feel they really open the space up. I love how your styled them! Oh I can't wait to see what you do with the counter tops, I love the look of your open shelves and the dishwasher looks fantastic! I really am curious how you restyled your dishwasher - it looks great now ! Looking forward to your blogpost on that topic ! regarding countertops: have you considered concrete? you can color it and it looks like an organic material. Good news: you can probably do the project for about $60. The bad news: you really need to know what you are doing on this project, because once it's in, it's in for all eternity. Adoro la forma pulita e semplice degli scaffali, come anche le tazze appese sulla parete bianca! Funzionale il gradino per Lucy (anche io mi devo attrezzare)... ora hai un'aiuto-cuoco in cucina! Troppo Troppo bella la lavastoviglie!!!!! Cosìsi che è Alisa style! Voglio anche io un vinile adesivo per decorare i mobili così... potrebbe essere un'idea per il tuo shop! Fosse per me rivestirei la casa intera!!!!! 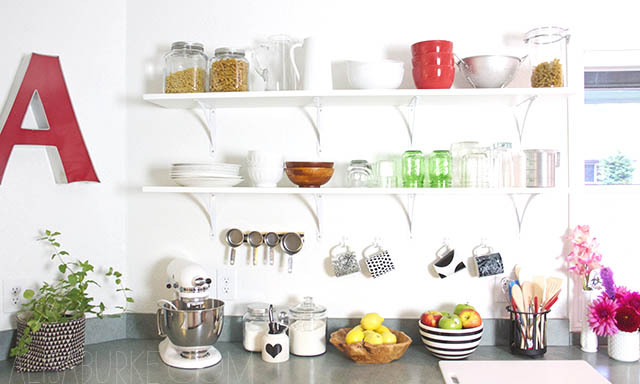 I love the clean, simple form of the shelves, as well as the cups hanging on the white wall! Functional the step for Lucy (I also have to equip) ... now you've got a helping hand cook in the kitchen! VERY VERY BEAUTIFUL the dishwasher!! So it's Alisa's style! I also want a vinyl sticker to decorate the furniture so ... it might be an idea for your shop! Maybe for me I will covered the whole house!! Your shelves look great! We love DIY projects. I look forward to following your progress! We have laminate counters that I hate too!! I can't wait to see what you do with them so I can try it out too!! Love Love Love how this looks! And the process pictures are so fun to see! I can't wait to see what you do with the counter tops!!! I don't know about where you live but around here its just waaay too dusty to even think about open cabinets.... Love your dishwasher though and look forward to seeing how you did it. That runner on the floor... Do tell where it is from please!!! I just love your kitchen. I wish we could do open shelving. I love the look of them, but I'm so disorganized it's probably better that everything is hidden. 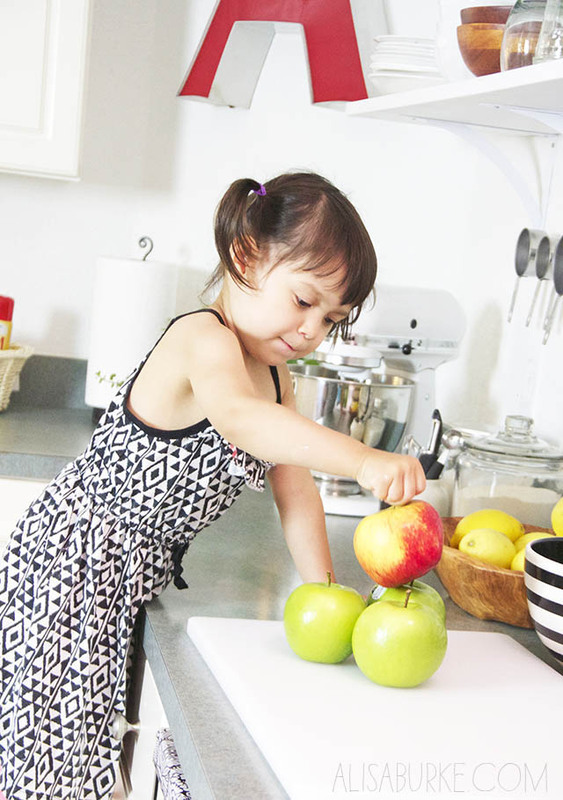 I can't wait to see what you do with the countertops. I've got the same ones in my home. We've also got a lovely shade of evergreen carpets thoroughout the house. I'd like to find some economical options for flooring as well. 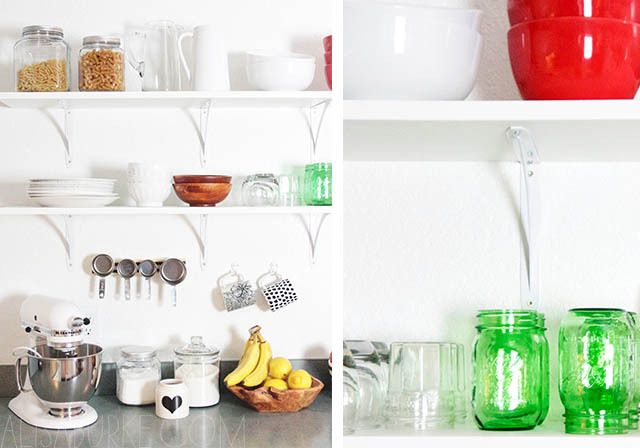 DIY is great idea especially when customizing the desire design of the shelving. This makes your house feel compatible and relaxing. Btw thanks for sharing. Hey there, beautiful kitchen! If you had to choose a white paint colour that matched your cabinets what would you suggest? I am painting my cabinets and trying to find the right white. Thank you !